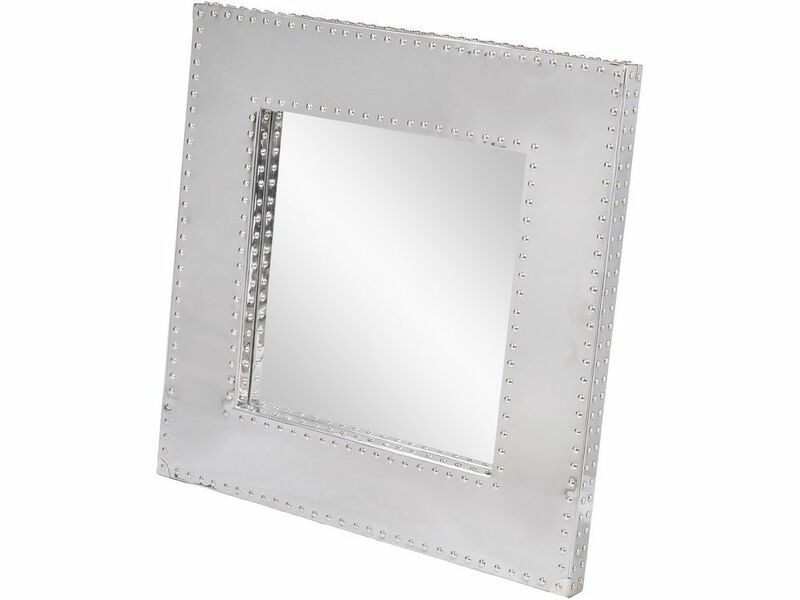 How cool is this square silver mirror with its chunky steel frame and decorative stud detailing. With the frame made from highly polished silver steel, this square metal mirror will reflect light from all angles to brighten any room. A decorative flourish is added by the neat rows of studs that accentuate the square shape. A highly versatile item that will create a focal point in any room, this studded steel silver mirror complements most interiors and will seemingly enlarge rooms.